A unique occurrence of Divine particles appearing in SSRF’s research center and on seekers on the same day when the scientists declared that they have ‘discovered’ the God particle! To find answers to the routine questions such as ‘Does God exist ?’ and ‘How was the Universe created?’ etc., scientists performed a huge experiment in Switzerland a few months ago that aimed to recreate events just after the so-called Big Bang (beginning of the Universe). The objective was to find out what may have caused the origins of this universe. The results of this experiment were made public on 4th July 2012, news of which appeared in newspapers the next day. On the very same day that scientists declared that they had ‘found’ the God particle, SSRF seekers actually saw Divine golden particles in SSRF’s Research centre and ashram at Ramnathi in Goa, India. One would think that this may be a coincidence but in Spirituality there are no coincidences. God has graced us with such an experience to show through this event that spiritual practice is the answer to every question. When one does regular spiritual practice, with time, one gains access to the Divine Knowledge and God gives Knowledge and experiences free of charge. In modern science scientists put maximum efforts for longer periods of time to ‘discover’ something that those who have access to Divine Knowledge can obtain in a second, free of cost. Despite spending over 9 billion dollars and 10 years in conducting the experiment, scientists are not yet completely sure whether what they ‘found’ are indeed Divine particles. At the same time. God created Divine particles on the physical body of Paratpar Guru H. H. Dr. Athavale from March 2012 onwards just like He had created many Divine changes in His body. Moreover, seekers could actually see them. Previously they were visible only in sunlight but from 25th June 2012 onwards they were visible in artificial light as well. 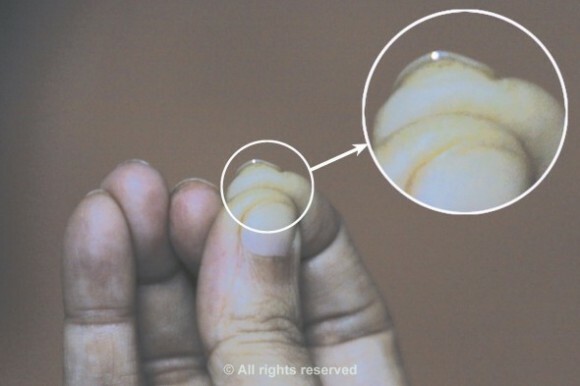 On 5th July 2012, when His Holiness Dr. Athavale rubbed both His hands together, several such Divine particles fell on a paper below. He then showed them to many seekers. The next day innumerable glittering golden and silvery particles were found on the chairs, tables and computers of the Department for Holy texts, Accounts Department and Arts Department of the Ramnathi research centre and ashram, besides being seen on the bodies and clothes of many seekers and their beds. 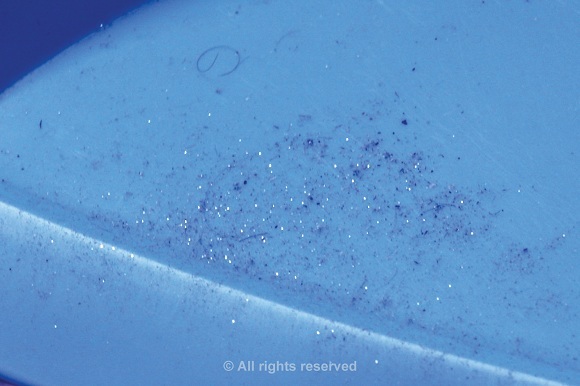 These particles were even detected in the trash. Seekers have preserved all of them. This shows the spiritual emotion of these seekers and God’s grace occurring on them. The negative energies present in some seekers became disturbed on seeing these Divine particles. They manifested and as a result the seekers started shouting, while other seekers experienced spiritual healing. Some of the seekers even had the spiritual experiences of smelling Divine fragrance and feeling cool. These spiritual experiences confirm the Divinity of these particles. When we become pure devotees of God we attain God Himself and once He is attained everything becomes possible. they appeared on our things when we talk with our master but they are silver whats that mean? This is very nice to see 🙂 It is grace of God to show us His presence. Silver particles mean detachment. are those “GOD PARTICLE” good things? Divine particles are positive and useful. For further understanding please click on the link at the end of the blog. Witnessed by my WIFE AND SON ?!!!! This is very nice to see 🙂 Gratitude to God for that. Are you maybe doing some spiritual practice? The “GOD Particle” whatever the name one labels it with is the foundation upon all else is built. It is in fact “LOVE” in it’s purest form. Yes ,NEELU it at velocity above the speed of light does give off a “light” . The characteristics of this varies, due to conditions and perspective. The fact is that it’s existence in singularity and traveling at sufficient speed is proof of it’s existence as light in all forms is it’s determining factor. Fact yes the universe is governed by the “Big Bang ” theory but what the scientists will not theorize much less attempt to Prove is that Love is the object which was exploded then fashioned into levels of energy, and matter. What most fail to comprehend, is that a veil called time governs our perspective in viewing the truth as a whole. This is the crux of our existence. In order to see behind this curtain of time we must first attain “Absolute Faith” . This is the one thing God asks of us. If we can shed the ego our mind develops to blind us , then it becomes easy to see that man’s soul is a seed of love that the old farmer planted with intention of harvesting. A newborn child shines sharing love totally, hence is taught through out life to hid this love and not share it due to the dangers inherent in the act. What the master asked of us ,taught us by example, word and deed was to ShARE our Love. IE allow it to see light thereby allowing it to grow. As it grows it is satisfied and the larger it becomes the more it needs to share. Have you ever met a person who made you warm just to be near, one who seemed to shine? This person shares with all every moment of each day because this is what makes them happy. They shine due to love flowing from them just as the child when born. Each of us know and have always known right from wrong in all aspects of our lives. Compromise is just one more excuse for doing what at heart we know to be wrong. I have elected to be an errant person most of my life, yet I truthfully attest that I always knew I was making the wrong choice no matter the logic I used excusing my actions as righteous. I truly wish I never had an ego or at best could put it aside from this day forever as it is a maddening lie at best and has been the largest stone upon which I have continually stumbled in life. I try to never be “proud” as a rule for as pride surely goeth before a fall then the ego is as sure to be the lie spawning this foolish pride. I would ask you to review your scripture with this one idea in mind. God is, A. A parent,B. A farmer this perspective has provided a new understanding of his love and our purpose for me and I can only hope others may benefit from it at well. I believed GOD is presence in me because i am feeling light balance brightly positive even how hectic life is…Thanks to the admin for clearing all my confusion. It is very nice to hear about your experiences 🙂 For any further queries about spirituality, spiritual practice or spiritual experiences you can write to us at any time on this link. I think the occurrence of divine particles is a motivation for seekers. Divine particles are a blessing to improve our love for god. This is not true because the main part is we can not see the God particle by our eye or in a photo. It is small, as 30000 times smaller than a salt particle. In Switzerland’s scientific lab there is 3.5 km long telescope to see them. hm.. the Cern experimend was not done to recreate the big bang nor was it to find a god particle. To state that is just being misinformed. Just give them a call and they’ll inform you that the experiment was to provide high energy proton collisions (nowhere near the big bang energy levels) to prove the excistence of the higgs field. In the standard model interaction with the higgs field provides particles with their mass. Once this interaction takes place, a higgs particle is released. This is then detected (very indirectly). If the existence of the particle can be proven then the existence of the higgs field can be proven and the standard model can be proven. So it’s not the particle. And nobody in the scientific community calls it the ‘God’ particle. really, no one. I have not experienced Golden and Silver Physical particles. However i see golden-silvery meta physical particles almost everywhere with my closed eyes as well as open eyes. With or without meditation. These particles come in and out of existence and last for only a mili-second in my vision. I am not sure why am i seeing them and what are these particles. 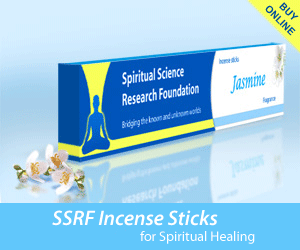 However I would like to seek some guidance from Spiritual Research Foundation. I have researched a lot and have known nothing regarding these particles. I do not have much knowledge about God particles… but I have experienced God’s love in the form of light energy… this is through meditation and connecting with the supreme power. Live and enjoy life as much as possible. At the end of each life is the only time anyone will have the answers. I think to associate almighty God with a simple particle is not fully justified because God is not limited up to some material particle only. God is the source or base of all consciousness that is why God is regarded as universal supreme consciousness and we embodied souls (Jivas) as part of or one single drop of universal consciousness. Physical science should rise up in their conviction regarding the existence of or realising God. We the spiritual seekers should not get overwhelmed by some scientific discoveries in the material field. This scientific principle can explain many paranormal activities like mind reading or predicting. Atma namaste, the news about gold particles, sent a shiver through my whole being. My body gets a slight yellowish tint after doing spiritual practice. I got to know this when other people ask me whether i had applied turmeric paste after a bath. So when I read this news, I felt immense happiness. Oh Lord, how can I ever express my love for you in words? hype created by the media. The subject of God is highly sensitive to most of us as we tend to associate the subject matter with religion. However, the subject could easily be compared with a classroom setting where an English teacher is teaching us the alphabet beginning with the letter ‘A’. When s/he draws two diagonal lines meeting at the top and a horizontal line intersecting them below the halfway mark, we are told it is the letter ‘A’ and we absolutely believe it. Why, because the teacher says so, because s/he heard the same from his/her teachers and so on. Moreover, hundreds of thousands book also tell us the same. Consequently, we believe that if three lines are drawn in such a way, it would amount to letter ‘A’. If you however describe the same combination of lines to an illiterate, the reaction would be either negative or disbelief. Simply, because of lack of knowledge and understanding. Similarly, those who believe in God, do so because the spiritual masters as well as the ancient scriptures tell us about His existence in every particle of the universe. Irrefutable evidence has been presented to the scientific community time and time again, which the scientists have at best concluded as coincidence. As we know, God created the universe to perfection and deeming any part of His creation, would be to undermine Him and his ability.